A Better Wrist: Is the $500 Watch Doomed? Is the $500 Watch Doomed? TechCrunch’s article The Swiss Watch Downturn, Correlation Doesn’t Imply Causation (Unless It Does) by John Biggs is the most depressing article I’ve read about the wristwatch industry in just about forever. Swiss watch exports dropped 8.5% over the past three months, part of a recent trend: There was a 10% drop in exports in July and a 9.9% drop in exports in May. Watches in the $200–$500 range and exports to Asia took the sharpest hit. Sales in Hong Kong and China dropped 25% and in the United States, 18%. This is the largest quarterly drop since 2009. What afflicts the Swiss watch industry affects other watchmakers, too. Some of the problems are short-term ones: the rising value of the Swiss franc and the declining economy of China. Economic fortunes change. One of the problems for the $500 watch is the smartwatch, and especially the 800-pound gorilla, the Apple Watch. TechCrunch thinks that things are going to only get a lot worse for the Swiss watch industry, especially at the low end of the price spectrum. They’re not alone in this conclusion, either. Now, 60 years later, watch companies have little else to offer in terms of marketing message. Swiss watches, we’re told, are intrinsically better. They aren’t, really, simply because many aren’t made with the care that goes into even the lowest end electronic device. 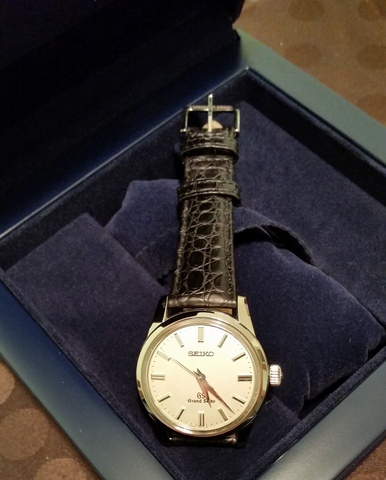 In fact, at this point most affordable watches are mass-produced junk. These are the watches that will disappear. But a subset of the high-end watches—mostly still made by Swiss and German makers—are still intrinsically important as works of art and science and well worth the investment. But how do you tell that to someone who wants an Apple Watch in aluminum with an orange band but will settle for no watch at all? In other words, there’s little future for watches in the $200–$500 range, the price range of the smartwatch. If you’re thinking about putting something on your wrist that costs $500, why would you want something that only tells the time if you could get something that does everything? The same dollars buy you either a fashion statement or an electronic wonder. Which would you want on your wrist if you’re contemplating your first watch? One of the reasons that sales of watches at the low end of the price spectrum are suffering, and may suffer more, is that unless you’re a watch collector or looking for something that goes with your Lexus, $500 is not the actual low end of the price spectrum for you. It’s the high end of the price spectrum when it comes to optional accessories. People who buy low- to mid-price watches aren’t necessarily the same people who buy $5,000 Rolexes, $10,000 Speake-Marins, and $100,000 Breguets. (Though there is some overlap sometimes among these watch buyers.) The prospects and problems for the high-end watch market are different from those facing less expensive watches. 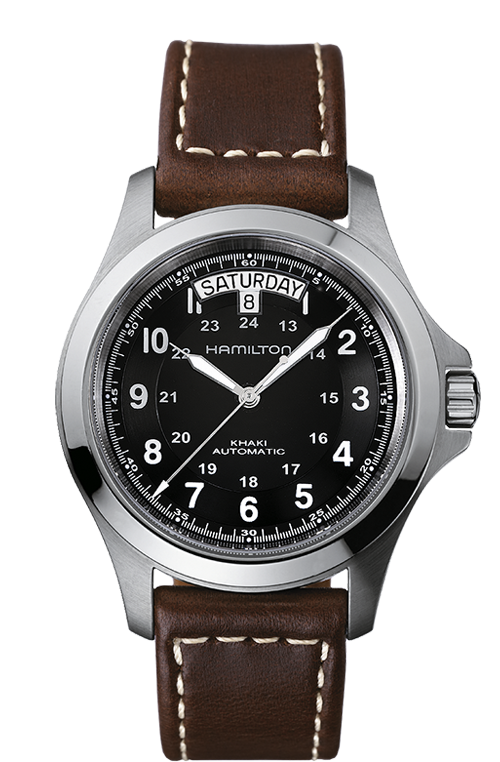 You buy an Apple Watch instead of a Hamilton Field Watch, not instead of a Rolex Deepsea or a Harry Winston tourbillon. We’ll need to see how the sales of $500 versus $5,000 watches fare over the next few years to know if the trends that we’re seeing now are going to affect watches across the board or just the lower end of the price spectrum. The Swiss watch has faced and defeated an existential enemy before, during the Quartz Revolution, when in the 1970s quartz watches suddenly emerged. Quartz watches were cheaper, more accurate than mechanical watches, and never needed to be wound. The Swiss beat back quartz watches, but at a great cost. In 1970, there were 1,600 watch manufacturers in Switzerland; by 1983 there were 600. Fortune magazine estimates that Apple’s sold 3.95 million watches. That’s a lot of soldiers for Switzerland to do battle against. What is Switzerland’s plan? Will the mechanical/smart frankenwatch be part of their strategy? Will a hybrid watch succeed beyond everyone’s wildest dreams or will the combination mechanical and smartwatch be like the combination toaster and hotdog cooker? Will low- to mid-price watches become cool once again, like LPs are cool? Perhaps Kickstarter will help kick the low-end watch movement forward. People like indie things. Kickstarter won’t ever be the principle sales vehicle for watches, but it could inspire interest in the wristwatch. I think the battle between low-end mechanical watches and smartwatches will be won the same way the War of the Worlds was won: The enemy just can’t survive. The fundamental flaw with smartwatches, including the Apple Watch, is that there’s a better one coming out next year. When you spend $500 on something, you don’t want to spend another $500 a year or two later. You don’t have to buy a new smartwatch, but if you don’t, your smartwatch will a lot dumber than everyone else’s, and eventually its software will be incompatible with what you want to do. Mechanical watches don’t become obsolete. They can run indefinitely, if cared for and maintained. Their software doesn’t grow stale. Smartwatches are like the PDA and iPhone 3: Nobody uses them anymore. Everything technological comes with an expiration date. That will be the smartwatch’s undoing, and to the degree that smartwatches are doing damage to some price ranges in the Swiss mechanical industry, that built-in obsolescence will herald the Swiss watch industry’s revival. Smartwatches, too, may be the gateway drug that leads to better and more expensive watch purchases: You’ve become accustomed to the feel of a watch on your wrist, but you don’t like that your smartwatch becomes old, stale and disposable after two years, and so you seek longevity and value through a mechanical watch. But Switzerland can’t rely on the inevitability of smartwatches’ obsolescence. The Swiss watch industry will be proactive, just as they’ve been before. They will heed John Biggs’ and others’ warnings and overcome these problems, just as they overcame the Quartz Revolution. Wait for smartwatch obsolescence is little, need to do damage and innovate. I feel that the Swiss watch industry has stopped and is sleeping with the laurels, but now is the time to change. How would this change? I think is need to put aside a little complicated machines and go to the simple luxury, but easy viewing hours. As? Watches powered machines hybrids with rope, but with quartz to illuminate the dial clearly at any time of night or darkness of any kind. Timex already produces something similar but fully connected quartz. 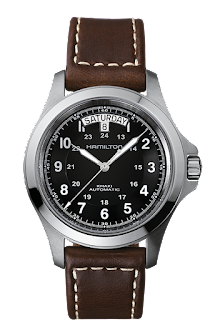 This need a wristwatch with two or three hands, date and something similar to the Casio Illuminator or Timex Indiglo. It has to be fast.